Who’s Mich? And what’s a Mich Dish? This weekend I was in Boston visiting some friends– Kristin and Becky. One common love we have is food so it’s no surprise that we cooked (and ate) a lot. Kristin joined a CSA for the season and had produce a plenty so we decided to incorporate as much of it as we could into a chicken pot pie. This was a new recipe for me, as I’d always written chicken pot pie off as one of those dishes that was complicated, unhealthy, and took way too long to cook. Edge’s chicken pot pie (named for Kristin’s dad) put all my preconceptions about the dish to rest…except for the length of cook time– it does take way too long to cook, but it’s worth the wait! The first step is to cook or partially cook the first list of ingredients (except the frozen peas). You can either cook the chicken in the oven at 350 for 20 minutes with salt, pepper, and some olive oil or cooking spray (until the juices run clear) or you could bring a shallow pot of water filled just enough to cover the chicken to a boil and poach the chicken until cooked through. 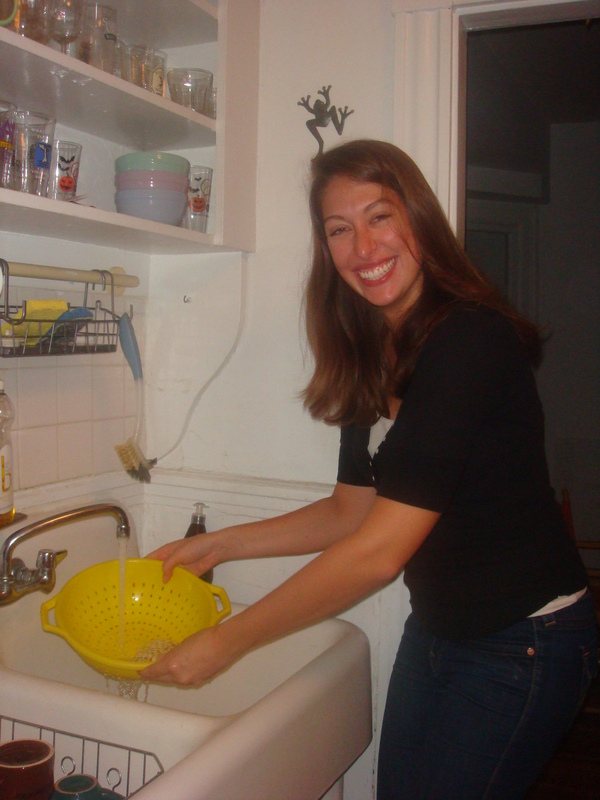 In the mean time, fill a medium saucepan with 2 inches of water and lay a steamer basket in the bottom (if you don’t have a steamer basket or anything similar, put a colander over the opening of the pot and find a lid that will cover it). 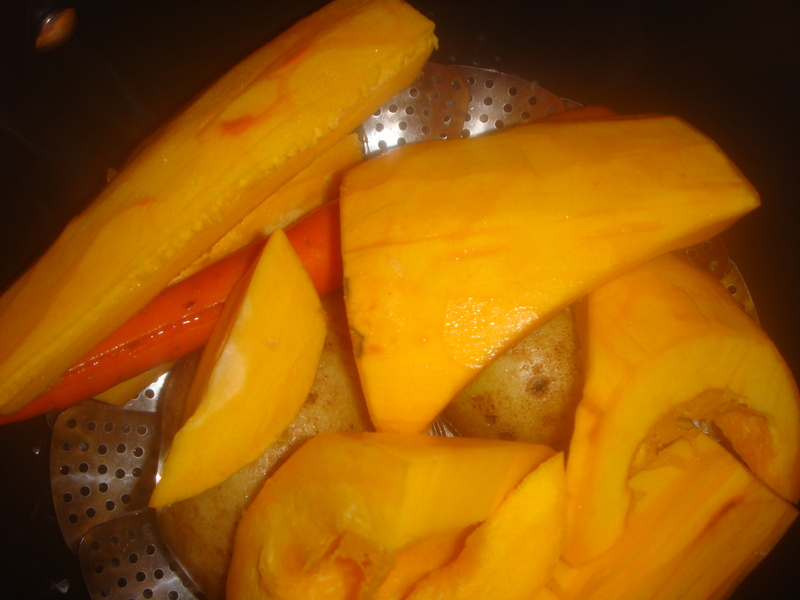 Add the carrot, potatoes, as well as the peeled and seeded pumpkin*. Cover and steam for about 15 minutes until each can be easily cut. 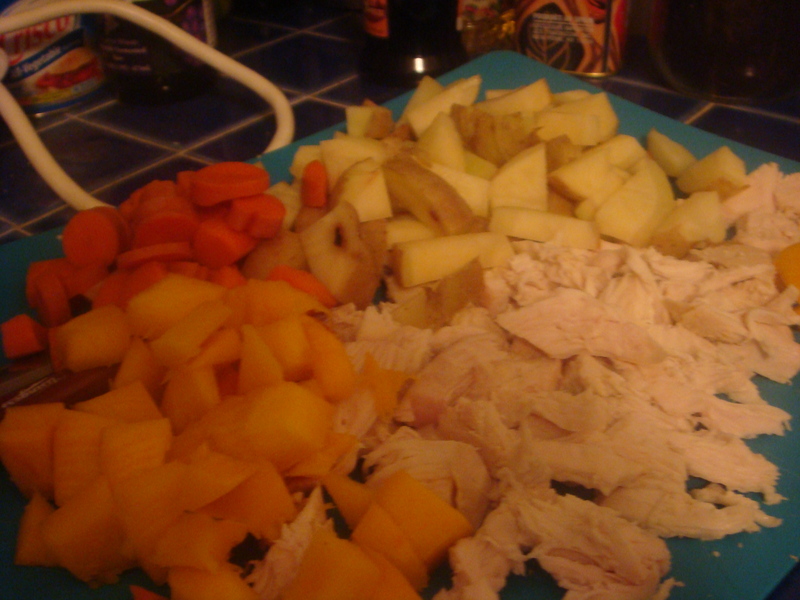 Cut chicken, carrot, potatoes, and pumpkin into small cubes of roughly equal size. 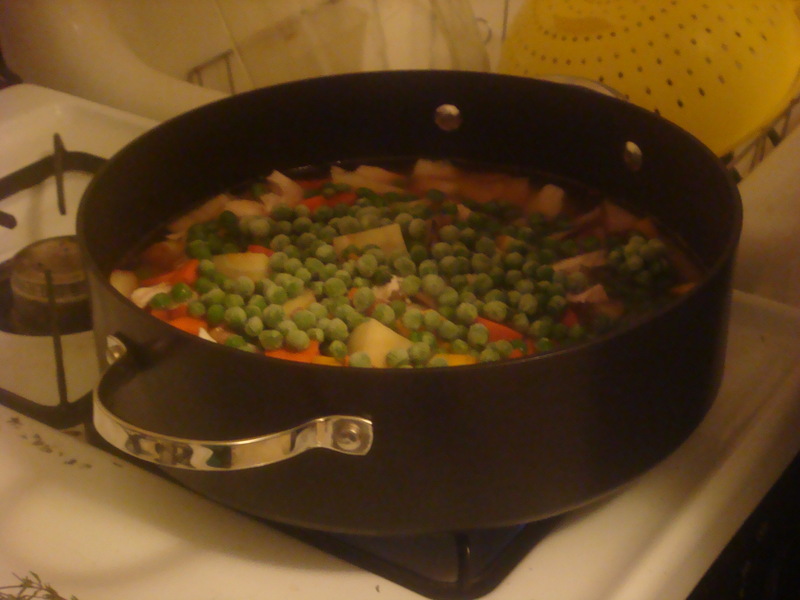 Add the diced ingredients, chicken broth, frozen peas, salt, pepper, thyme, and rosemary into a large saute pan. Cover and bring to a simmer. Mix cornstarch with 3/4 cup cold water until all the lumps are gone and a thick paste has formed. 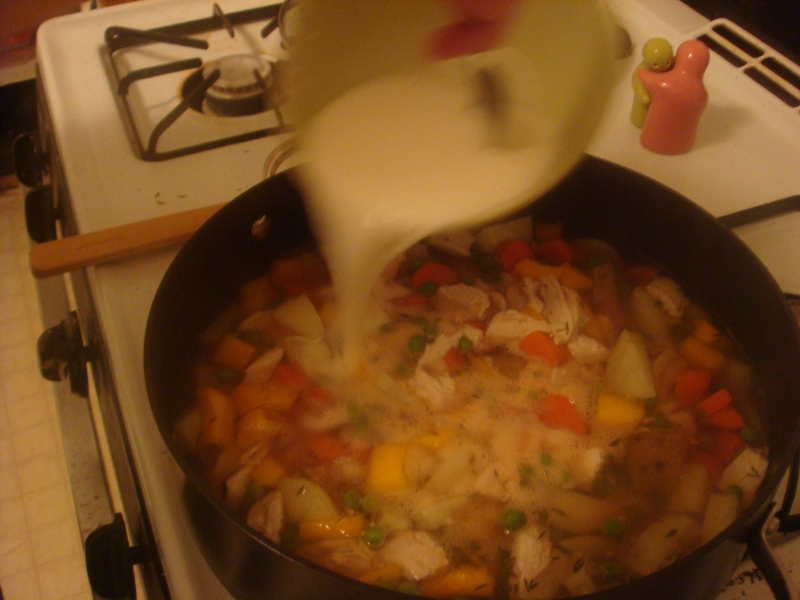 Add cornstarch slurry to the saute pan and mix until combined. Let it bubble for a few minutes, until it gets very thick. At t his point, you’ll want to taste for seasoning and adjust accordingly. Set 2 of the frozen pie crusts side by side onto a large baking sheet. Add 1/2 of the filling into each crust. 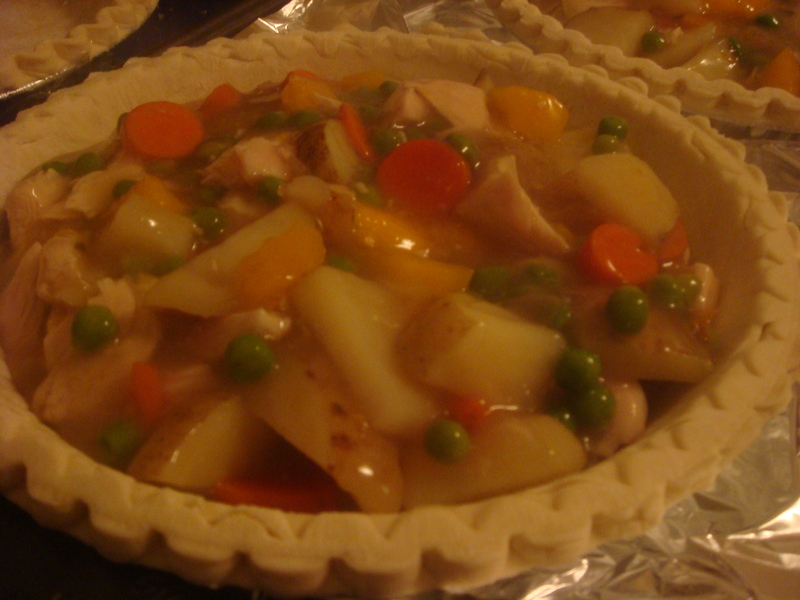 Remove the second 2 crusts from their foil liners and place upside down over the first to seal the pie. Using a sharp knife, cut a few 1 inch slits in the top of the crust to allow steam to vent. Cook at 350 for 45 minutes or until the crust is baked and golden brown (feel free to turn the broiler on for the last few minutes if its not getting to the color you want it to be). 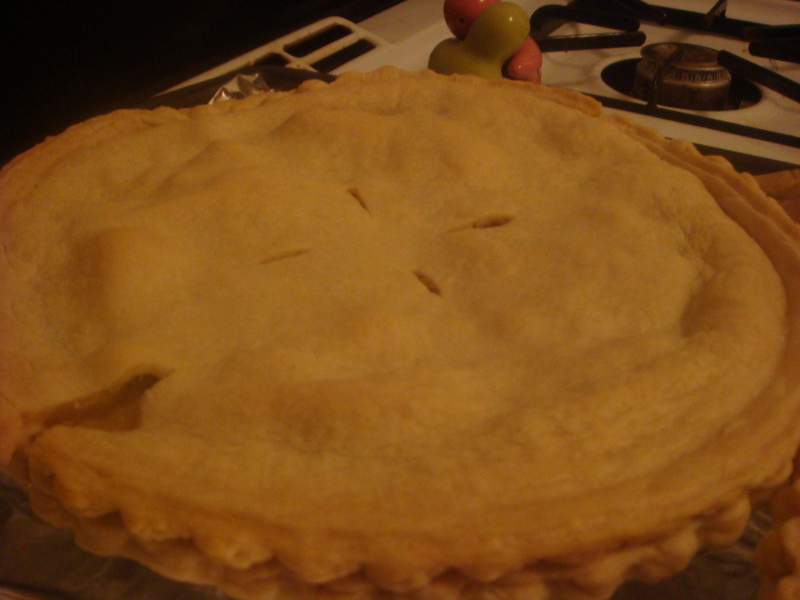 Allow the pie to cool for 10 minutes before cutting. 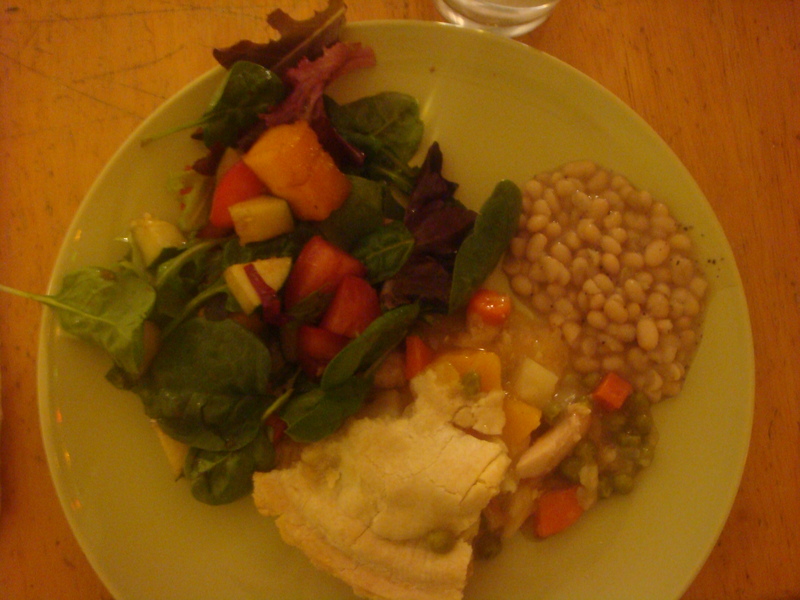 We served the chicken pot pie with a side of roasted pumpkin salad and cooked white beans. *Though you’ll only be using a little bit of the pumpkin, it’s a good idea to steam the whole thing that way you can use the rest of it more easily. We served a salad with roasted maple pumpkin and steaming the pumpkin helped roast it to a delicious golden brown within 15 minutes (as opposed to 40+). 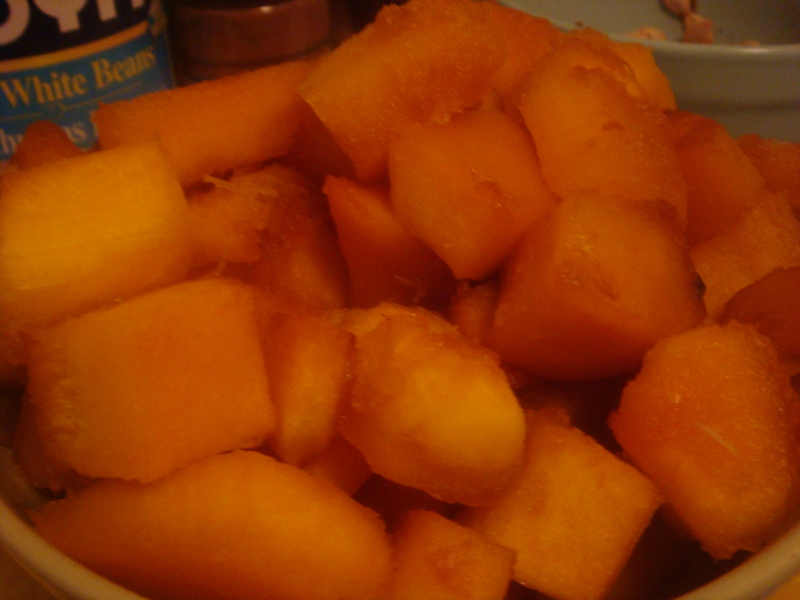 Dice the pumpkin as you would for the squash, toss with some cooking spray and maple syrup and roast at 425 for 15 minutes, mixing after 10 minutes and adding more maple syrup if necessary. 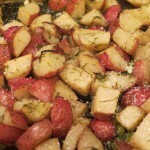 This entry was posted in Dinner by michcorbett. Bookmark the permalink.